I’m so glad Epic Games finally got a mainstream hit. I’ve been a fan of theirs since Unreal Tournament 2003. They have produced one of, if not THE best, game engine series of all time. And who’s better at showing its potential than Epic Games themselves. It seems they looked at PUBG and decided they can do it better. And they did – they nailed down the battle royale genre so good that they got sued. 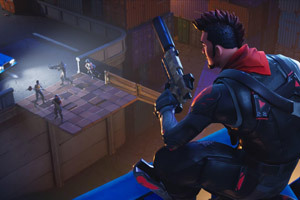 Fortnite has skyrocketed from an obscure game to a a worldwide phenomenon. Even though the game is free, it requires a fairly up-to-date machine. That’s even more true for laptops that have lagged miles behind desktop PCs. But with the latest processor and graphics releases, we can find the best laptop for Fortnite at every price range. I’ll begin with Fortnite’s official requirements. I still remember playing the player-created Defense of the Ancients mod map in Warcraft III: Reign of Chaos, and back then, it was a novelty that breathed a bit of life back into Blizzard’s real-time strategy game. Today, there have been a wide variety of MOBA games that feel very similar; you start out with a hero, push lanes against either computer controlled opponents or an enemy team, and eventually secure a victory. 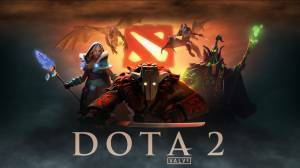 A few years ago, Valve decided to release the spiritual successor to Defense of the Ancients: Dota 2, but for those who enjoy laptop gaming, which are the best laptops for Dota 2? Let’s take a look. Finally, the next big step in gaming has arrived. Virtual reality, or VR, has been tried a few times in the past, but the technology simply wasn’t there yet. Now, we’ve finally reached the point where enough people are playing games, enough companies are supporting new technology, and advances in portable tech have progressed enough to where true virtual reality is feasible. With the onset of this new technology comes the need for more powerful computers to accommodate VR peripherals, so laptop manufacturers have begun releasing models that can meet these needs. I’ve written this guide to help you determine what laptop you will need to take advantage of this astounding new gaming tech. I’ve selected five of the best laptops for virtual reality, based on specific criteria: how powerful their processors are, how strong their graphical processing ability is, how well they handle heat and airflow, the battery life, and their portability. These factors are all important in determining the best portable gaming computer for VR gaming. Anyone who grew up in the 90s era where films like Lawnmower Man were popular, couldn’t wait for virtual reality to really start to take off. 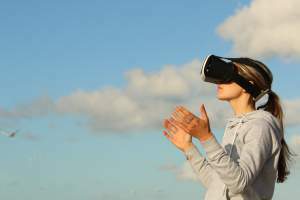 With the advent of gaming machines that can almost reproduce near photo-realistic games, there’s been a sudden emergence of virtual reality gaming headsets like the Oculus Rift, the PS4 VR, and the Samsung VR. Recently, smartphone manufacturer HTC and Steam backers Valve tossed their collective hats into the VR arena and released their astoundingly powerful HTC Vive. The chief drawback of the system is you need a computer that can support it, which is why I created this article so that you can learn which is the best laptop for HTC Vive. You may have spent days researching for the ideal gaming laptop. You might have found some promising machines, but you may have also found them to be just beyond your budget. The goal of this post is to let you know which corners you can cut and what should be your top priorities when looking for a gaming laptop under $1000. And at the end, I’ll identify the best laptops just under 1K, that offer what you could expect from a $1100 – $1500 laptop. If I’ll manage to shave off a few hundred dollars off your next laptop, I’ll consider my job done. But first things first. I will go through the essential features of a gaming laptop. I’ll look at which features you can afford to compromise on and, more importantly, which features you shouldn’t do without. I’ll start off with a guide and specific tips on how to identify a good gaming laptop within our budget. At the end, I’ll list out the best laptops under $1K right now. 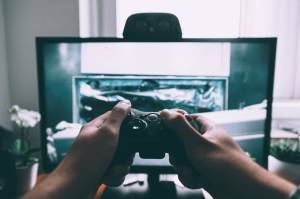 Balancing gaming and work is not an easy feat. The same can be said if you’re trying to get a laptop that suits both. Though, if you’re OK with a heavy laptop – balancing gets a lot easier. I won’t beat around the bush. 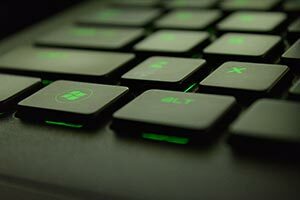 This post is split into 2 parts – a guide to a great gaming/work laptop step by step and a list of recommended laptops. Let’s begin with the requirements for the perfect laptop for gaming and work. 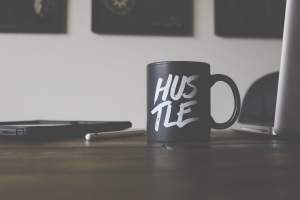 I think I won’t surprise you by saying that finding the best laptop for gaming requires identifying what you need for working hard and playing hard. Finding the best World of Warcraft laptop depends on your budget and on the visual settings you’re willing to tolerate. Luckily, the core game engine is so old that there’s no need to get top-of-the-line hardware. That should be great news if you’re searching for a WoW laptop under $500. World of Warcraft: Legion logo is a trademark of Blizzard Entertainment. Use of it does not imply any affiliation with them. How am I going to find the best laptops for WoW? Updated on June 5th, 2018. This time, I’m replacing all laptops with mostly 8th gen Intel processors and Nvidia Pascal graphics. First, I’ll show you what are the exact requirements for a laptop instead of the generic stationary PC-oriented requirements. Then I’ll guide through each of them so you’ll know where you can cut corners and what is an absolute must. Finally, I’ll list out 8 best World of Warcraft laptops in their price ranges starting from $350 and ending with ~$3000. I’ll begin with Blizzard’s official requirements for Legion. Of course, we could use requirements for Warlords of Draenor but to make matters simple, I’ll assume you’re targeting for your laptop to run well with the latest expansion and with new expansions in the future. These requirements are NOT official – I used the official requirements to match their recommended components to equivalent laptop parts. I used 3rd party benchmarks including 3DMark and PassMark tests.